I created this site as a catalog for georeferenced* historical maps for Android devices while investigating online techniques for immersive non-lineair storytelling with Historic maps and timelines. Most maps are from the Dutch Renaisance, formatted in the Vedute / birds eye perspective and fit remarkably well in many old European cities unless Hausmannian city planning or WWII era aerial bombing did mess up the street plan. So, with these maps you can literally walk through history and then, the free OsmAnd mapping app has wikipedia POI (Places Of Interest) and many other features and allows for recording your walks (gps trails) with fotos, voice notes and videos shot along the way. *) Georeferencing: the process of associating a image of a map with spatial locations. Organisations that wish a custom made historical map for an event or promotion are welcome to contact me. And 3-D / Game developers to collaborate on projects. 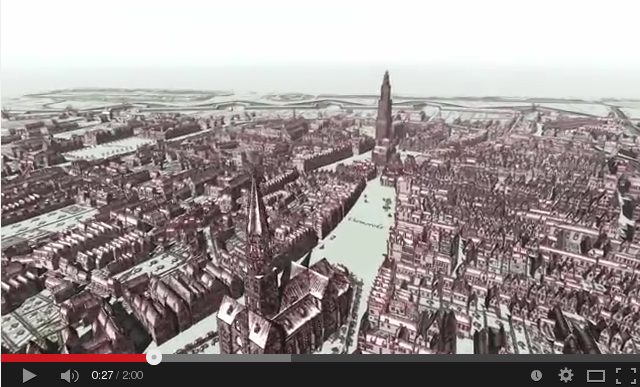 Historic map of Groningen becomes 3-D film. GRONINGEN - Create a walk through Groningen in the 17th century? You can! 'Los Digitalos', a Groningen company, edited historical maps of Egbert Haubois to three-dimensional movies. The viewer thus gets the feeling really walk through the old town. It is a unique project. 'Los Digitalos', Anco Dijkman and Axe Kooi are very proud of the result. 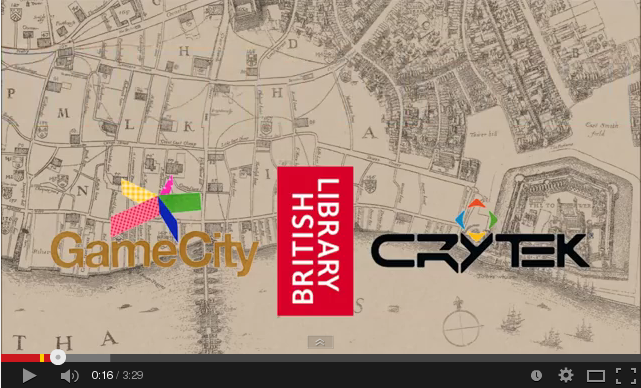 The images can be seen in the "The past of Groningen 'broadcasting RTV Noord Wednesday.